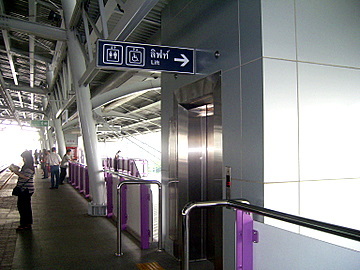 Facilities for the disabled at the Bangkok skytrain and subway stations facilitate travel by the disabled with lifts and access ramps at the various skytrain and subway stations. These facilities however vary between the skytrain and subway and from station to station. Subway stations are identified by a three-alphabet code e.g. Silom (SIL), skytrain stations by an alphanumeric code e.g. E4 Asoke. 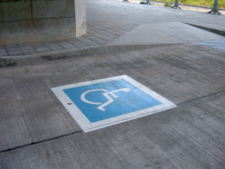 The more disabled-friendly stations are in bold. Please ask the station staff for assistance. 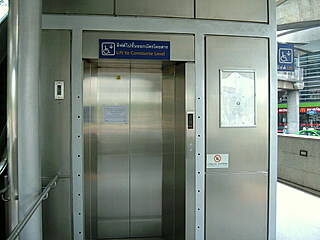 The Bangkok subway has lifts for the disabled at all stations.These lifts give access from the road level to the ticketing level and train platforms below. But not all stations have these facilities on both sides of the road. 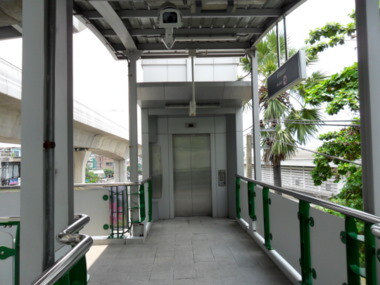 The Bangkok skytrain only provides lifts for the disabled at eleven stations, N8 Mor Chit, Siam, E4 Asoke, E9 On Nut, S3 Chong Nonsi, S7 Krung Thonburi, S8 Wong Wian Yai, S9 Pho Nimit, S10 Talat Phlu, S11 Wutthakat and S12 Bang Wa. This is partly due to space limitations. At these eleven stations, there are lifts to give access from the road level up to the ticketing levels and the train platforms. Here are details of these facilities at the Airport Rail Link stations Suvarnabhumi Airport Link – facilities for disabled. Listed below are these facilities at the Bangkok subway stations. The exits where these facilities are located are shown. Those stations with exits on both sides of the road are in bold. Kamphaeng Phet (KAM) Exits 1 & 2 both exits are on the Chatuchak weekend market side. These subway stations have facilities for the disabled only on one side of the road. These subway stations have facilities for the disabled on both sides of the road. 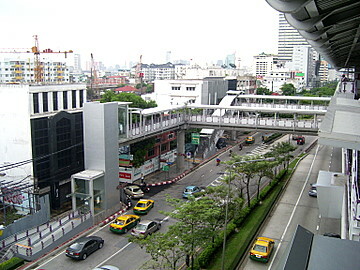 Sukhumvit (SUK) Skytrain interchange at E4 Asoke. Exits 1 2 & 3. Exit 3 is the closest to the lift at E4 Asoke. Silom (SIL) Skytrain interchange at S 2 Sala Daeng. Exits 1 & 2. Unfortunately, there are no lifts at S 2 Sala Daeng. Hua Lam Pong (HUA) Terminal station. Exits 2 & 4. Listed below are these facilities at the Bangkok skytrain stations. Stations with lifts and access ramps on both sides of the road are in bold. Siam Skytrain interchange between Sukhumvit and Silom lines. Lifts on both sides of the road provide access from the road level to every platform in the station. E4 Asoke Subway interchange at Sukhumvit (SUK). 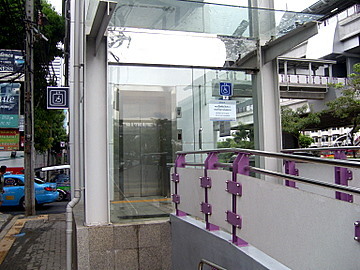 From the lift for the disabled at E4 Asoke exit 3 at Sukhumvit (SUK) is the nearest. E9 On Nut Lift on one side only, the side opposite the Tesco Lotus supermarket. The extension to the Sukhumvit line from E9 On Nut to E14 Bearing commenced services on 12 August 2011. All the stations along this new extension have full facilities for the disabled. There are lifts and ramps on both sides of the road to take passengers to the ticketing platforms. Separate lifts from the ticketing platform provide access for passengers to both sides of the train platforms. The stations are E10 Bang Chak, E11 Punnawithi, E12 Udom Suk, E13 Bang Na and E14 Bearing (terminal station). S3 Chong Nonsi Though this station has lifts on both sides of the skytrain track, the lifts are located in the middle of the road where there are drop off/pick up bays for those who come or leave by cars. Users who are pedestrians will have difficulty getting to these lifts. These two stations on the Silom line S7 Krung Thonburi and S8 Wong Wian Yai were opened on 15 May 2009. These stations have complete facilities for the disabled and elderly to gain access to the station. There are lifts and ramps on both sides of the road to help the commuters get up to the station. In January 2013, two more stations were added to the Silom line S9 Pho Nimit and S10 Talat Phlu. These stations have plans for lifts on both platforms. Two more new stations were added later in 2013, S11 Wutthakat and S12 Bang Wa terminal station. 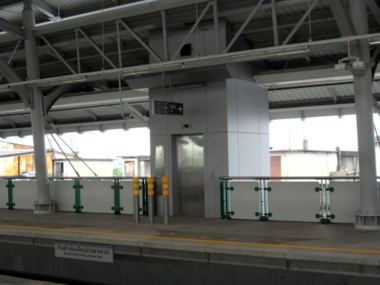 Both these station have lifts from the train platforms to the ticketing platform and ground level. The stations in the new extensions that were built further away from the city centre are more spacious compared to the older stations in the city centre. So the newer stations are well-equipped with facilities for the disabled. To check the details of lifts and their location at each station, click on BTS (skytrain) service routes with facilities for the disabled at the various skytrain stations. Click on the required station and enlarge the plan layout of the station. This will show the number and location of the lifts if available. Overhead bridges link these lifts to the ticketing floor. From the ticketing floor, separate lifts will take the disabled up to the train platform. There are lifts on both sides of the train platform. 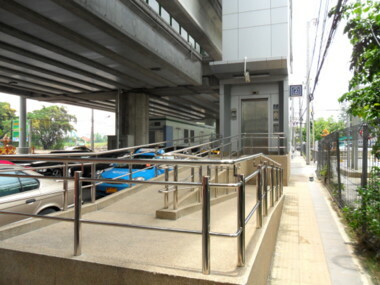 Bangkok skytrain and subway facilities for the disabled provide access to the trains for the disabled to tour Bangkok. The facilities at all stations may not completely meet the requirements. However by planning your route using the more disabled-friendly stations, you can still see a substantial part of Bangkok. 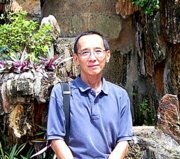 Have a happy tour of Bangkok legacies using the Bangkok skytrain and subway facilities for the disabled. To return to Bangkok skytrain and subway.